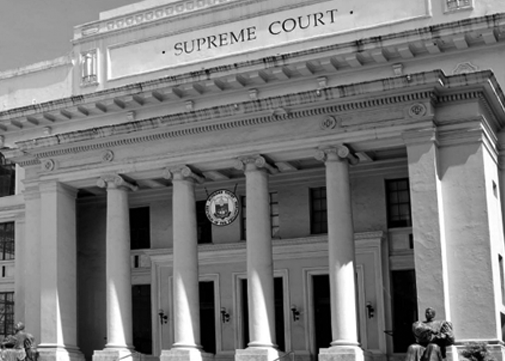 Supreme Court (SC) announces that October 2012 Philippine bar exam results will be out on March 20, 2013 (Wednesday) after the en banc session for the decoding of bar results - list of passers, topnotchers and determining the passing percentage. Update: 949 out of 5,343 passed the bar exam! Official results announced by SC Associate Justice Martin S. Villarama, Jr., Chairperson of the 2012 Committee on the Bar Examinations, during a press briefing at the Court premises in Padre Faura Street, Manila. October 2012 bar passing percentage of 17.76% is the lowest after a decade. Last year, passing rate was 31.95%. Supreme Court says that an original 5,686 were admitted to take the bar but only 5,343 completed the four-Sunday examinations. Ignatius Michael D. Ingles of the Ateneo de Manila University topped the 2012 Bar examinations with a rating of 85.64%. Ralph Karlo B. Barcelona, a graduate from Aquinas University at Legazpi is belong to top 10 list of mainly dominated by Ateneo de Manila University (ADMU) and University of the Philippines. Decoding is the process where the SC orders the Office of the Bar Confidant to open the sealed envelopes with the names of the candidates who passed the exams. Last month, Martin Villarama, chair of the 2012 Bar exams gave notice that bar exam results will be out before Holy Week. According to High Court records, there is a total of 5,710 petitions for October 2012 bar exams but 5 have been denied and 19 have withdrawn. In determining 75% average score, subjects are given the following relative weights: Political and International Law, 15%; Labor and Social Legislation, 10%; Civil Law, 15%; Taxation, 10%; Mercantile Law, 15%; Criminal Law, 10%; Remedial Law, 20%; and Legal Ethics and Practical Exercises, 5%, for a total of 100 percent. Scores in the multiple-choice questions has a relative weight of 60 percent and 40% for the essay-type questions.